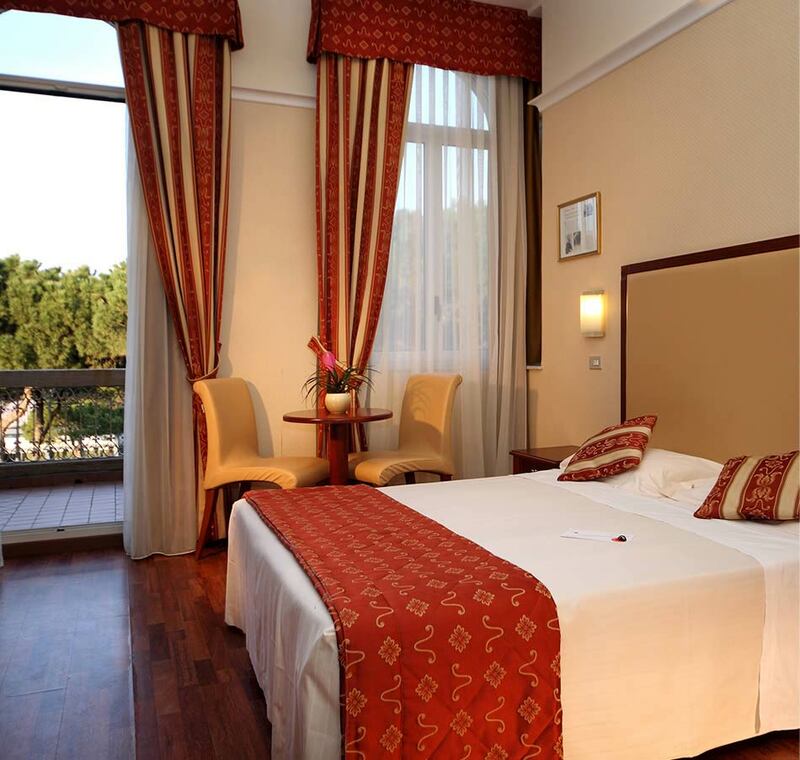 Situated in the oldest section of the building, Novecento Bedrooms of Ambienthotels Villa Adriatica are our most prestigious accommodation options. In the summer of 1897, one of these bedrooms was the seat of the passionate meetings between Gabriele D’Annunzio and Eleonora Duse. Novecento Bedrooms still retain their romantic style and intimate atmosphere. 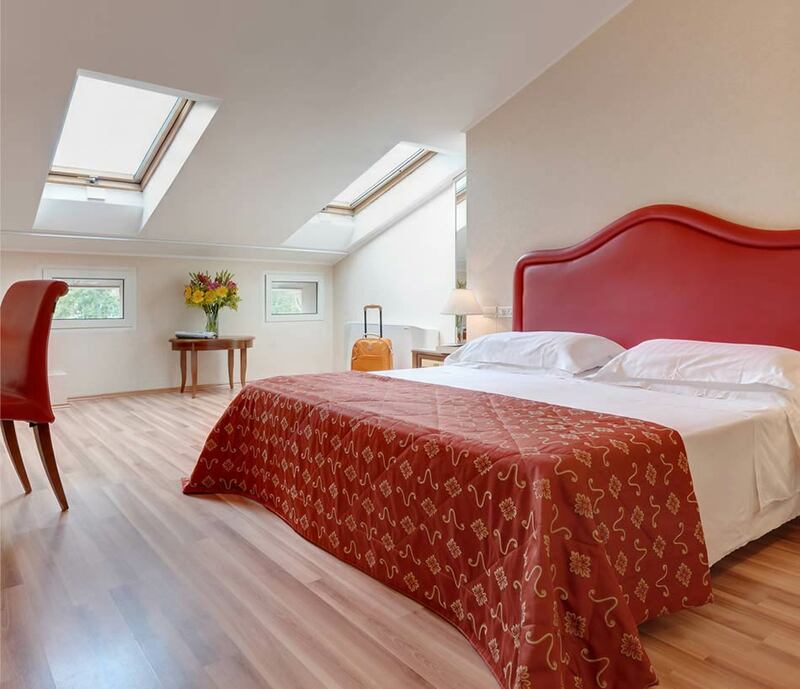 The spacious, well-lit suites of the hotel Rimini have recently been totally renovated, and gather modern amenities and comforts although retaining their original charm and fascination. 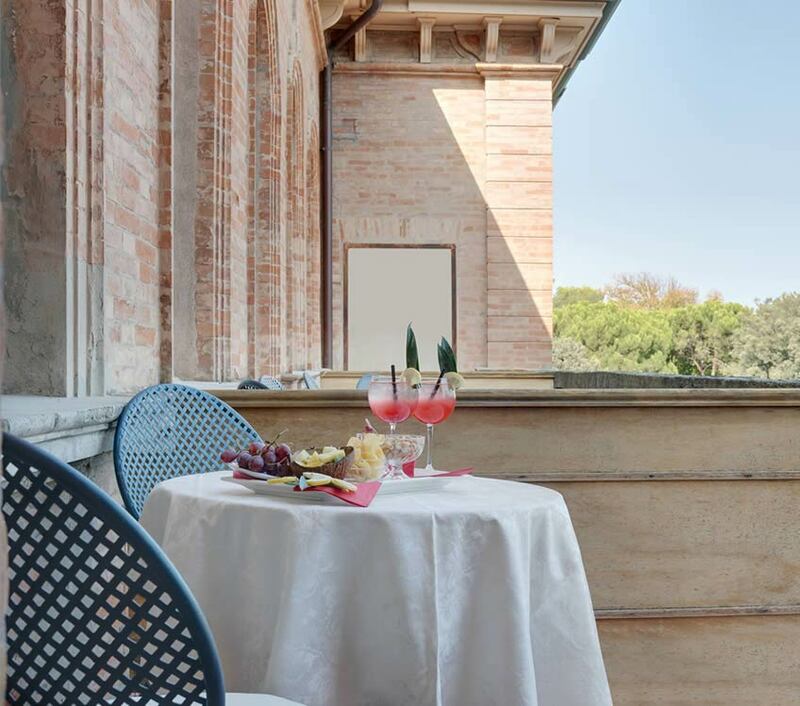 Their intimate atmosphere is enhanced by splendid period furniture, fine details, wooden floors, natural colours, high ceilings and precious late nineteenth-century frescoes, that ornate the balconies that overlook the main entrance. Couples will also have the possibility to book one of the five mansard bedrooms of the hotel, that are the ideal accommodation options for those interested in spending romantic holidays here while taking advantage of first-class services and facilities. Private bathroom equipped with: Shower box/Bathtub, hair-dryer, courtesy kit, bathrobe and slippers.